Pfc. Samuel Kendrick, son of Mr. and Mrs. Lee Kendrick; husband of the former Susie Bell Harris. 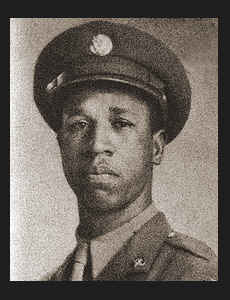 Entered the Army in Oct., 1943, trained in Camp Ellis, Ill.; served in France. Awarded Good Conduct Medal, EAME Ribbon, one Bronze Star.